Fondue Music author and artist Fynn has just caused a stir with his collabo „Waste My Time feat. Sedric Perry„. Now the producer from Berlin is already adding the next hit. 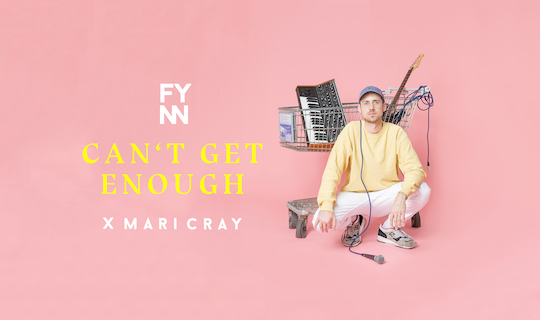 „Can’t Get Enough“ with Mari Cray shows once more why nobody can avoid the all-rounder Fynn, who brings together zeitgeist and retro vibes as well as electronica and pop in his songs.